77.3% THC Headband is a classic standby, effective and easy to find almost anywhere. It's available on both the legal and black markets, but it's most popular on the West Coast. This strain is a cross of two venerable parents, OG Kush and Sour Diesel, making for a 40:60 sativa/indica ratio. Headband is named after its famed cerebral effects, as it creates a sensation of pressure across the forehead similar to a headband. 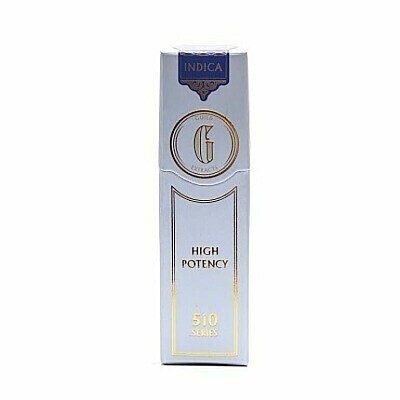 THC levels can reach higher than 17-24%, putting this on the top shelf of potent strains. CBD levels are low, less than 0.5%, so Headband is better used to treat conditions that respond to THC. Though the strain delivers a strong mix of euphoria and creativity, it's better used as a rainy-day strain, as it tends to cause a spacey feeling that can hinder daytime tasks. The strongest effects are centered on the body, making it a good choice for chronic pain and anxiety. It can also be used to treat nausea and wasting conditions, as well as mood disorders, muscle spasms, and migraines. Headband has a smooth, creamy taste with undertones of lemon and diesel. Expect dry mouth and dry eyes; other negative effects are more rare.